We are now offering direct sales to your door, pallet pricing and commercial-sized farm pricing on wholesale cultivation supplies, nutrients and garden supplies. Come talk to Rob or Julie about getting your Cultivation business to take Root. One light or 1000, we have your wholesale cultivation supply needs covered! 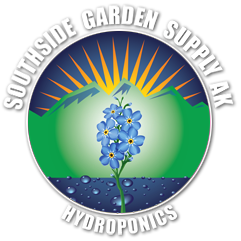 Southside Garden Supply can also service your extraction needs. Talk to us about ASME certified equipment. We provide delivery of commercial sized nutrient orders right to your business!